In Zanzibar Snorkeling is an absolute “must do” excursion! We know and understand very well that it is not only divers that wish to have exceptional marine life encounters. We know the great experiences snorkeling offers, and we take great pleasure in showing this underwater world to our guests onboard. Join us onboard one of our beautiful yachts, don your snorkeling gear and slip into the warm turquoise Indian Ocean waters that surround Zanzibar! Its like an aquarium! Float above the shallow reefs and marvel at this amazing world beneath the waves. Now you are in for a real treat if you have never snorkeled before… colours are so much brighter when you see fish in their natural habitat. 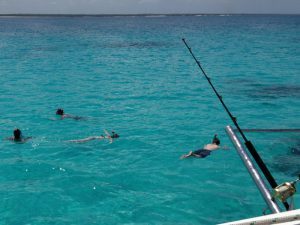 Snorkelling at the stunning Maziwi Island Sandbank! 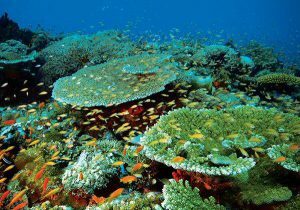 Abundant Tropical Fish and beautiful Corals! Tumbatu Island is our destination should you be joining us for a Half Day Trip. The Mnemba Island Atoll is our destination should you be joining us for our Full Day Trip. Your snorkeling adventure starts with a briefing from our experienced snorkel guides/crew. After this our crew will check that you are comfortable with your equipment before guiding you into the beautiful ocean. 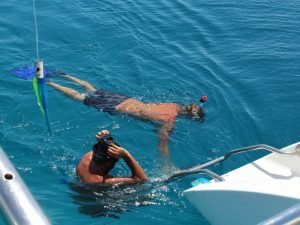 Almost anyone can snorkel! Therefore you do not need to be a great swimmer, just comfortable getting into the water and ready for a great adventure. Finally if you need a little help with your buoyancy, we have life jackets, floats and wetsuits available. Kids love snorkeling too so make this one of the highlights of your family holiday with us here in beautiful Zanzibar.